I’m not sure how much you know about us Dutchies, but we LOVE to talk about the weather. Honestly. I can go outside right now and stand in the middle of the supermarket, and all I would hear is conversations about the weather! I’m not sure what it is about the weather that we find so incredibly interesting to talk about. Maybe it has something to do with our nature to complain about almost everything – complaining about the weather is something you can do on a daily basis here in The Netherlands! This week we’ve had warm sun, light drizzles, never-ending showers, some extreme hail, and the plain ‘ol rain. And it could be completely different next week; who knows, we might even have snow one day, followed by tropic temperatures the next day! In any case, living in The Netherlands calls for a wide variety of winter apparel; wide scarves, big wraps, cowls, hats, beanies, slouchies, hoodies, mittens, armwarmers – you name it, we got it! But the one thing that I have never owned or made before is the ever elusive skinny scarf. You know the type; a scarf that’s about a kilometer long, and can wrap around your neck an infinite amount. The type of scarf that has a plethora of colours in it. The type of scarf that you can wear a million different ways. That scarf. Tunisian crochet looks very much like knitting; both the way it works and the way it looks. You work with several loops on your hook, like you would with knitting, and the work has a very clear front and back. In the picture below you can see the front of the work at the top, and the back of the work at the bottom. The back totally looks like purl stitches in knitting, right? Right now I’m working on this project during my Make & Take workshops, and it’s the perfect project for when I’m on the road! A lot of train traveling hours have been spent on this skinny scarf. When this is finished I will of course publish a free pattern on how to do this Tunisian stitch! Do you have skinny scarves like this? I have seen this in real at the make and take at Rits in. It looks marvellous and i love that crochet hook. It is on my wish list. This looks like a great idea for a belt too! My first ever crochet project was a skinny scarf just like you described! It’s about 3 meters long about 3 inches wide so very long and very skinny! I crocheted it lengthways and it has wonky edges because I didn’t know how to see the first and last stitches yet! I still wear it 8 years on, I double it up and wear it in a loop around my neck and it is still actually the only scarf I’ve ever made for myself! I love yours, the colours are lovely, they work really nicely together. Maybe I’ll take some inspiration and finally make myself another scarf! Love your posts:) Very cute scarf! I love this scarf…..I have to revisit Tunisian crochet once more….I have the needles so no excuse huh? Thank you for all the lovely ideas and projects. 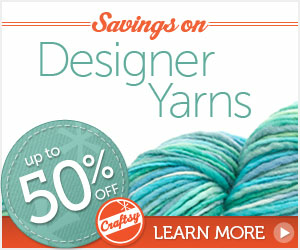 I love the yarns you use in your projects! I’ve looked all over the web, but I can’t find a source for Scheepjes in the US….do you know of one? I’d greatly appreciate it!! Where can I buy this wool in the Netherlands? I live in Sciedam. oh yes I did a lot and also little baby blanket. It s a good way to get ride of spare wool. I can t wait to learn the tunisian crochet, the stich is so beautifull. Merry christmas. Love the scarf, the colours and pattern are great! We Brits like to talk about the weather too! I really like the look of that skinny scarf and enjoy doing tunisian crochet too – love the stonewashed yarn colours! Gorgeous stitch and beautiful colors. I like to see the result when you have finished the scarf. I love the yarns you used here and also for the CAL. i would love to do Tunisian crochet but we don’t get that hook here. I wonder where you bought the crochet needle in combination with the cable. Did you really bought it on Amazon? Are those needles only in a package or are they also sold separately? This is really spooky… I wanted to make a small rug using Tunisian crochet but I couldn’t work out how you’d make it larger than a standard hook… So I googled it, bought a hook to fit onto my interchangeable needle cable, so I could give Tunisian crochet a go… And then I opened your blog and voila!